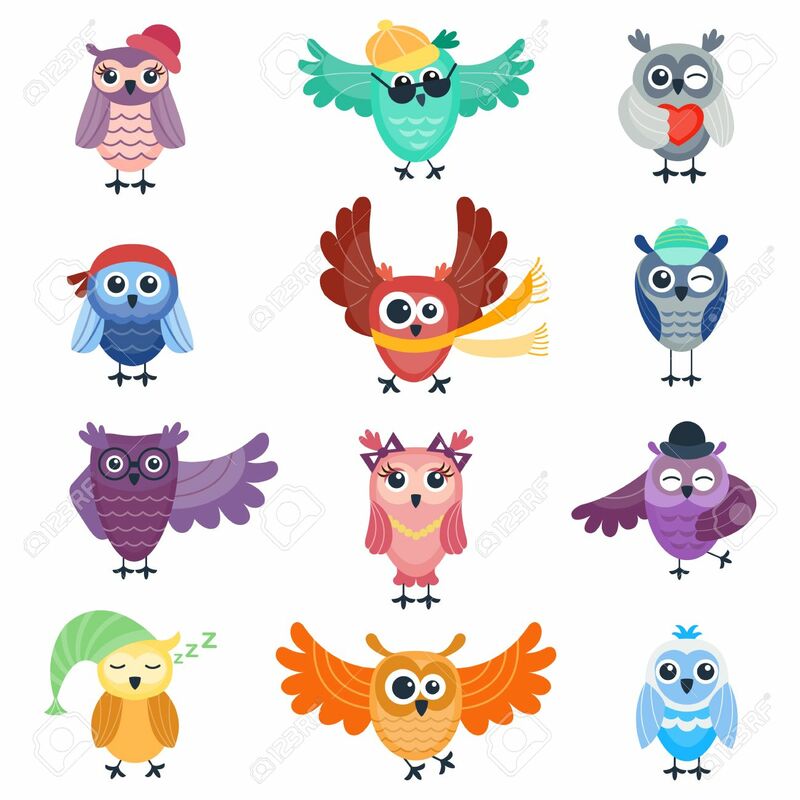 Cute Vector Collection Of Cartoon Owls. Animal Character Cartoon Owl Comic Funny Collection. Cheerful Birds Behavior Cartoon Owl. Adorable Different Owl Various Expression Birds. Royalty Free Klipartlar, Vektör Çizimler Ve Stok Çizim. Image 60008104. Stok Fotoğraf - Cute vector collection of cartoon owls. Animal character cartoon owl comic funny collection. Cheerful birds behavior cartoon owl. Adorable different owl various expression birds. Cute vector collection of cartoon owls. Animal character cartoon owl comic funny collection. Cheerful birds behavior cartoon owl. Adorable different owl various expression birds.